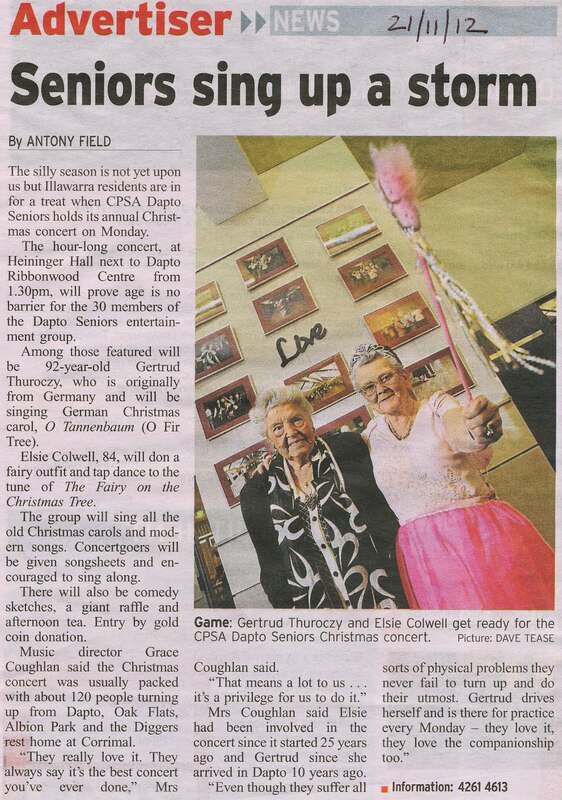 Once again Christmas approaches and Dapto Seniors' Concert Group is gearing up for their spectacular Christmas Concert. 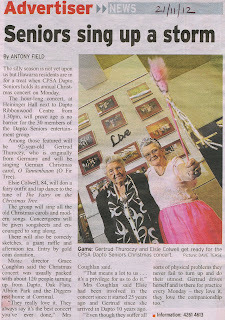 Where - Heininger House Hall, Ribbonwood Centre, Dapto. Date - 26th November 2012. Entry - a gold coin donation would be much appreciated. The concert includes all your favourite Christmas songs, Carols, a singalong, humour, a massive raffle and a delicious tea. Please come and enjoy the concert, it will be great.